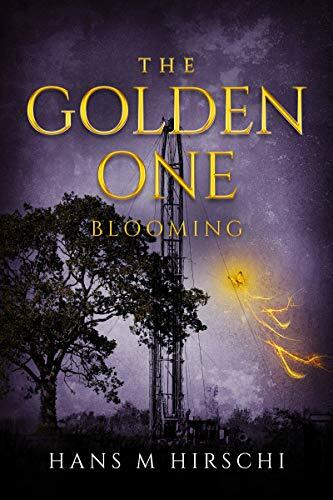 Wendy reviews ‘The Golden One – Blooming’ by Hans M Hirschi. Published November 15,2018 by Beaten Track Publishing, 193 pages. 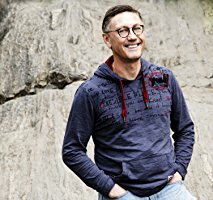 I think I always start my reviews of a Hans Hirschi book by telling you all how I’m convinced that this author delights in making me cry… consider yourself told. I cried tears of sadness and delight. I’m certain that by the end of this trilogy, I will have willingly invested a fair amount in tissues and chocolate. As always the author weaves a tale that has relevant issues in a thoughtful way. Jason Mendez is like most other teens in that his world is pretty much all about him. That is until he has an unknown responsibility to save the world thrust upon him along with finding out that there’s an entire world of animal and insect shifters and he’s one of them. Not only is he one of them but he’s THE Golden one. A magical butterfly that rules the Ohana and is sent by Mother Earth in times of great trouble. It was a fabulous adventure and I very much enjoyed watching Jason and friends grow and learn. The world building is impeccable and realistic and the level of anticipation and excitement was done perfectly for this genre. Hans doesn’t pull punches and that just makes the story so much better! This story is pure magic and if I was able to give this book more than 10 Pots of Gold I would have! I implore you to buy this book, for yourself and for any teen in your life! I bought a paperback copy of this book for my grandson as a Christmas present and he’s going to be reading it for a class project. I am very interested in hearing his thoughts and will share them with you when I review the next installment. Comment below for your chance to win one of 2 prizes. One e-book copy and one audiocode of ‘The Golden One – Blooming’ by Hans Hirschi. Open internationally. Must be 18 years or older to participate. Void where prohibited. Etc. Hans lives with his husband, son, and pets on a small island off the west coast of Sweden. I am not sure I have read you books but would love to read this one. Congrats on the new book. It looks great. Congratulations Lee, you’ve won an audiobook code for The Golden One: Blooming!